You may have seen them and not known their name. You may have heard about them but not known what they were. 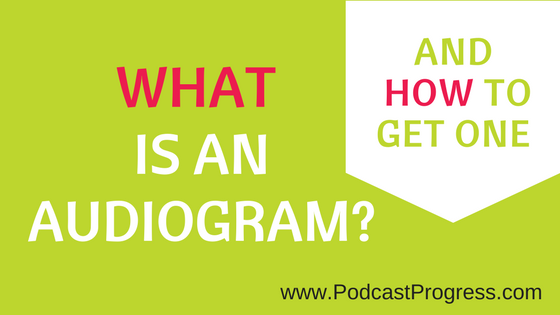 So, what is an audiogram? An Audiogram is a simple, shareable video which is generated from an audio file. Firstly, an image (or succession of images) is used as a background. Then a dynamically generated waveform which represents your audio track is overlaid on the background. This process creates a video from an image and an audio file. What’s not to like? An audiogram provides a simple and effective way to share audio content on social media and everywhere else on the internet. By default, many videos are played with sound muted, so the audio waveform moving as the video plays encourages people to put the sound back on and listen. And by making the audio into a video, it is something easier to share, with a visual impact too. How Could You Use One? An audiogram provides an excellent way to re-purpose written blog posts by recording them whilst you read them out. It provides a great way to provide a teaser or snippet for an upcoming podcast episode to create interest & expectation with your listeners. An mp4 video is generated to create the audiogram. Therefore, you have a video to share and put in YouTube for example. Those are just 3 ideas – I’m sure you can come up with some more. And How Can You Have One.. Or Many? Outsource that task to me – that is the easiest way. You send me an edited, ready-to-go mp3 audio file (max 5 minutes) and a suitable sized graphic (square 1400×1400). I send you an audiogram mp4 file. You send me a piece of audio (max 5 minutes) that needs editing, and a suitable sized graphic (square 1400×1400). You send me a piece of audio (max 5 minutes) that needs editing, and something / an idea so I can create a simple background graphic (square 1400×1400). then pricing will vary according to the amount of work involved. I look forward to helping you get started with audio marketing, using audiograms.